In this post, we are going to take a look at dropout rates for law schools. Dropouts are significant because generally, they mean one or both of a couple things: either the student feels him or herself unequal to the challenge presented by the law school environment, or the prospect of mounting debt and a poor employment outlook compel the student to bail out. In either case, dropouts are left having paid a significant sum for no tangible benefit. Needless to say, in an ideal system there would be few to no dropouts. That isn’t the system we have. Although one part of the law school system, schools with high median LSATs, is functioning well, with minimal attrition, the rear of the pack is not. At law schools with median LSAT scores between 155 to 159, the average academic attrition rate for the 2014-2015 school year was 2.0 percent. For the 2015-2016 school year, it was 1.8 percent. 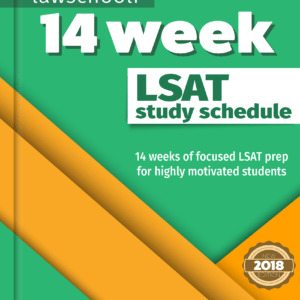 For law schools with median LSAT scores between 150 to 154, academic attrition for the 2014-2015 school year averaged out to 4.7 percent, and 4.6 percent for the 2015-2016 school year. At law schools with median LSAT scores below 150 but above 145, academic attrition went from 12.7 percent for the 2014-2015 school year to 14.3 percent for the 2015-2016 school year. 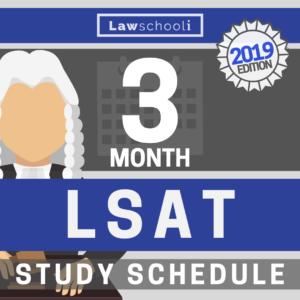 And among law schools where the median LSAT score was 145 or lower, the average academic attrition rate for the 2015-2016 school year was 25.3 percent. Although attrition is apparently stabilizing, these numbers should be of great concern to anyone thinking about attending a lower ranked school. 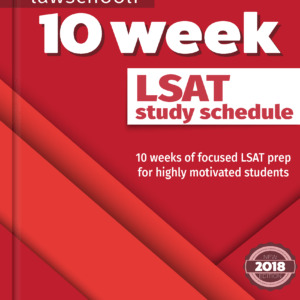 An LSAT below 150 may be a good indicator that someone is not sufficiently likely to benefit from attending law school, as there is a high chance of getting nothing for the effort. Taking a look at the data below, attrition is minimal through about the top 100 schools, then increases precipitously. Compare this list to our list of LSAT and GPA medians for ABA-approved schools, and you’ll see an incredibly strong correlation between lower medians and higher dropout rates. Though the ABA has failed to take significant action so far, there has been extensive discussion of schools with unacceptably high dropout rates losing accreditation. Next Article Am I Setting A Realistic Target Score On The LSAT? The question is what the ABA should do – if anything. Remember that the ABA is known to put all sorts of burdens on law schools that simply drive up the costs. When you threaten a school with probation because their law school building is not new enough or because they use too many adjunct professors even though their bar pass rates are higher than other schools in the same area, you are probably not focusing as much attention as the quality of teaching as you should be. (My experience was that adjuncts actually knew the law – particularly in specialized areas – and were often better teachers) Thomas Sowell has actually done a pretty stinging critique of the ABA’s accreditation process and provides plenty of evidence that it is more anticompetitive than ensuring quality education. Perhaps requiring law schools to post their attrition rates should be required. I, for one, am reluctant to prevent schools from offering those who did not do as well on the LSAT a chance to fulfill their dream, as long as the risks are transparent. Require them to disclose attrition rate, (real) legal employment rates following graduation and then let the customer decide. Most attorneys who have practiced any length of time will know lawyers who succeeded despite going to lower end law schools. I have two neighbors who are both very successful attorneys. Both went to law schools with attrition rates above 15%. We have many Ivy league attorneys in our community who make considerably less than these two. Full disclosure – yes. Meddling by the ABA – No.